What is a holiday family celebration without a big meal and lots of favorite foods? It is a safe bet that most of these feasts don’t revolve around baked tilapia, steamed broccoli, and a nice bowl of cottage cheese. The reality is, these meals feature foods that will never appear on any clean eating plan. According to a 2014 report by ABC News the average person eats more than 7,000 calories on Christmas Day. That number can realistically vary between 2,000 and 10,000 but why really debate, the final answer is it’s a lot. Avoiding the hidden holiday calorie bombs is easy with all the right information. I want you to enjoy all of it, after all Christmas is one day. None the less most people eat for “the season” so we are about to look at some hidden holiday calorie bombs. More specifically, calorie bombs you may not expect! The obvious foods are pie and cookies, for that reason, you won’t see them on the list. Many people will stop at the local coffee shop on the way to work or the mall to shop. Many will also wait all year for the special holiday flavors. A season favorite this time of year is pumpkin. From October through the end of December it seems pumpkin is everywhere from coffee, to pie, to air fresheners and soaps. One popular chains “Pumpkin Spiced Latte” (16oz) contains 380 calories, 14 grams fat, and a staggering 50 grams sugar. Random fitness fact: Leaving out the whipped cream only cuts the sugar by 2 grams. This coffee drink contains sugar four different times in the ingredient list! You’re saying “wait a minute, this is possibly the healthiest thing on the holiday table.” Granted it may be, however, what do vegetables trays ALWAYS have on them? Dips. The average ranch dip on a vegetable tray contains about 150 calories. With 16 grams fat in as little as two table spoons. That’s about 4-5 dips. Fitness Tip: A decent alternative is taking plain Greek yogurt and mixing in Hidden Valley Ranch seasoning mix. The powder mix only contains 5 calories per half teaspoon and zero fat and sugar. Bonus: Greek yogurt is high in protein, about 15 grams in a 5 ounce serving. What’s a better gift than a nice decorative tin of mixed nuts or a bowl on the table before dinner? Granted nuts have many healthy attributes, then again…One cup of mixed nuts can contain 760 calories, 64 grams fat, and 28 grams carbohydrate. This is for the unsalted variety. The salted version added about 360 mg of sodium. Let’s be honest, nuts have a tendency to be eaten in excess when put out in a bowl. It’s very easy to eat a quarter of a cup just standing there. Calories in alcohol comes from the alcohol itself as opposed to macronutrients like protein(4), fat(9), and carbs(4). Alcohol contains about 7 calories per gram. 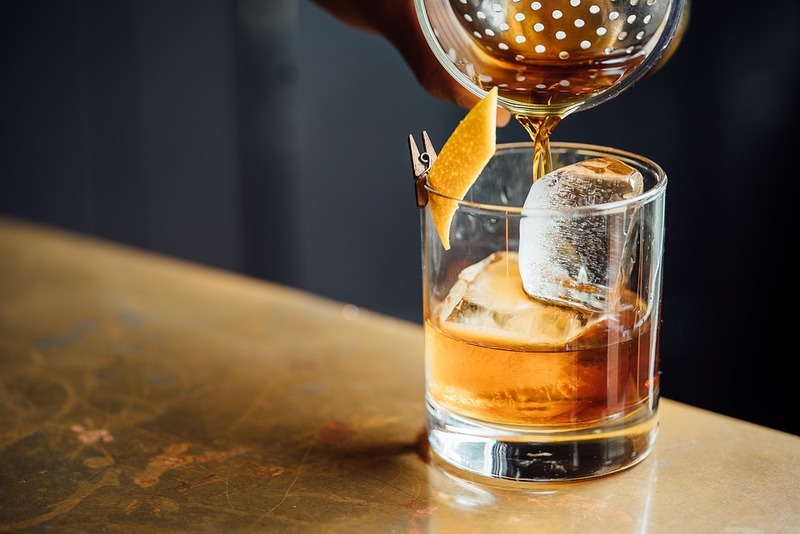 There’s another hidden calorie bomb to alcoholic beverages in that the metabolic system of your body will process alcohol before other foods leading to fat storage. 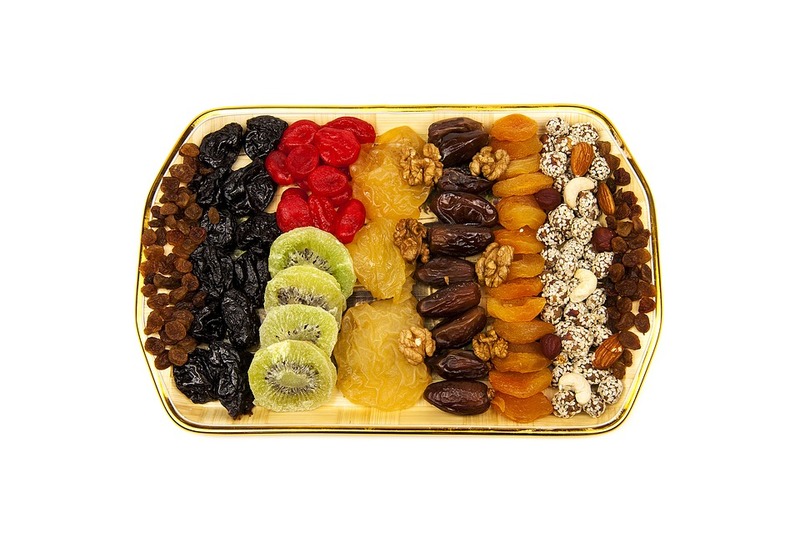 Along with your vegetable tray what’s healthier than a nice holiday box of dried fruits. Chock full of phytonutrients and vitamins in a beautiful snow flake box. Oh, and lots of sugar. A true hidden holiday calorie bomb. The other thing about dried fruit is that is has the water removed from it thus reducing the size. Serving sizes are reduced to as much as 75% says clinical dietician Kristi King of Texas Children’s Hospital. This can easily contribute to over eating. It is all a matter of volume. This example from the U.S. Department of Agriculture makes that fact quite apparent. Fit Fact: one cup of grapes has about 104 calories, and a cup of raisins has over 434 calories. Dried candied fruit often contains corn syrup and high fructose corn syrup and can even be dusted with additional sugar. So, what’s the best way to avoid these hidden holiday calorie bombs? You have a few options to consider. Avoid them altogether. Your dinner and desserts will effectively give you well over 2,000 calories to begin with. Enjoy them in moderation. Instead of a coffee each day, opt for one a week. Eat the vegetables from the party tray plain or with Greek yogurt. Stop at half a handful of nuts or candied fruit. Enjoy it all for an all-out ONE DAY holiday cheat meal. Utilize my Holiday Fitness Tips article as well as my Holiday HIIT And remember the 26th is clean eating day again, don’t wait for the first.